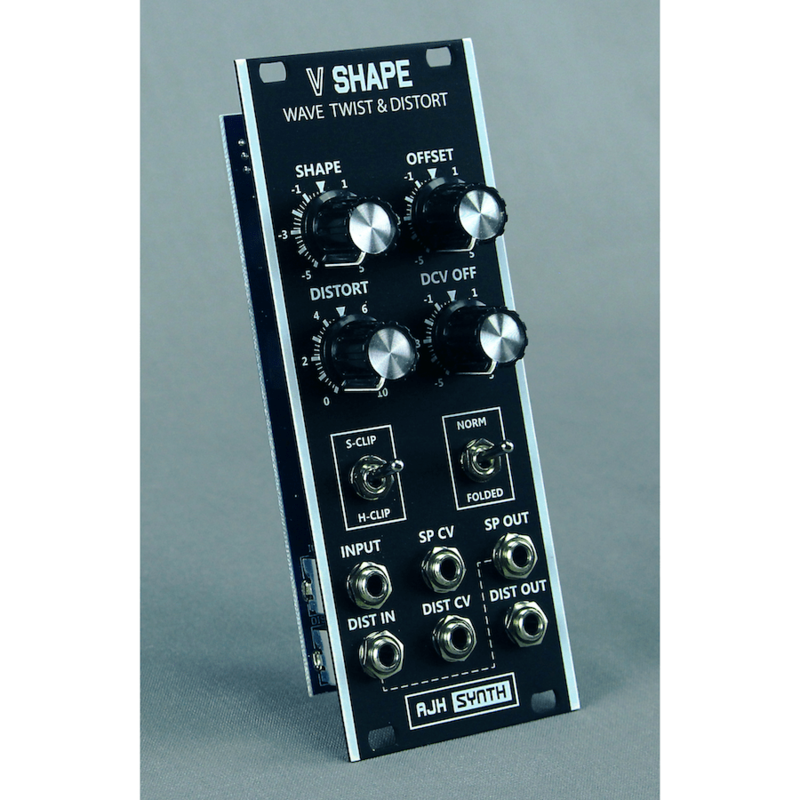 The V-Shape is two modules in one, a wave twister and a distortion / wavefolding module. 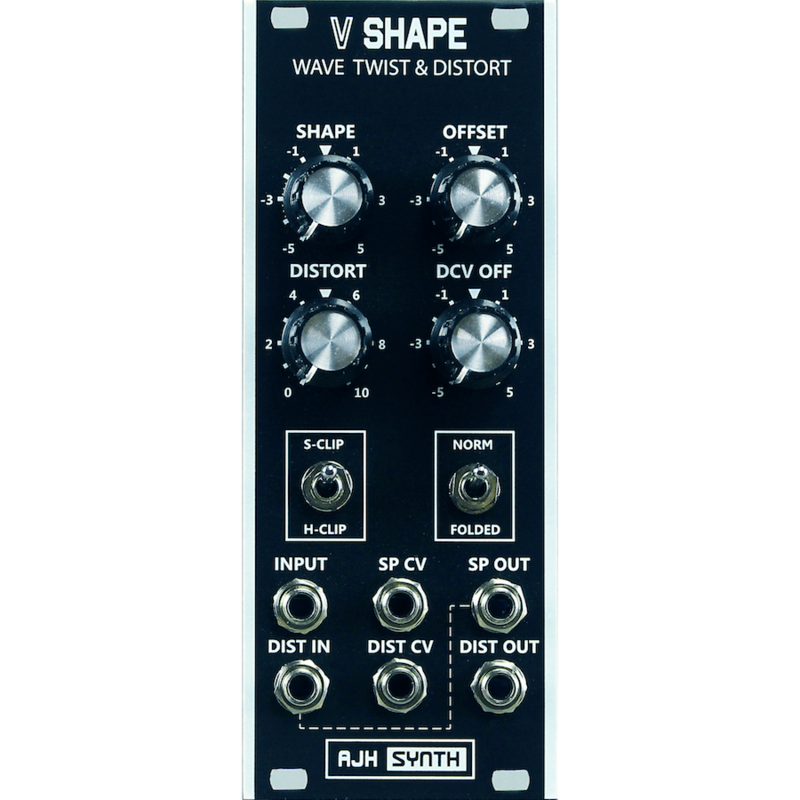 The AJH Synth V-Shape is two modules in one, a wave twister and a distortion / wavefolding module. 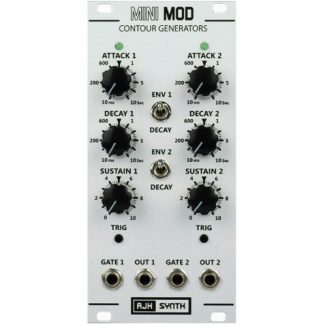 Both sections of the module are all analogue in design, and both can be used independently or they can be normalised together in series, so that a waveform can be twisted first and then distorted and wavefolded. 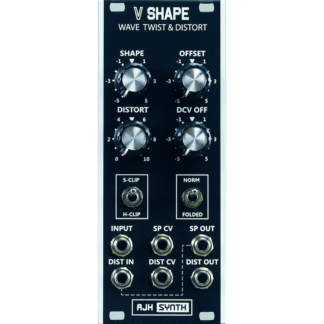 The wave twister can take (for example) a saw tooth waveform as an input and shape it, under manual or external voltage control, through to being a triangle waveform and on to being a ramp waveform, and produces a sound similar to pwm for sawtooths. 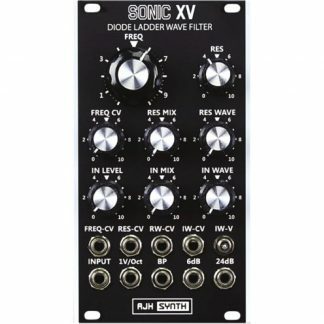 It will also work with symetrical waveforms such as triangle and sine waves, again producing pwm like tones. 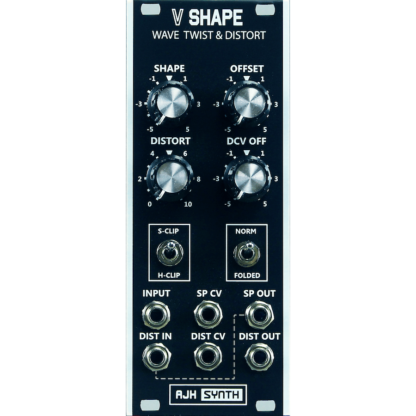 It can produce a wave twisting effect from most waveforms (with the exception of square waves), whether they are symmetrical or asymmetric. Under many conditions the transfer function is not perfect, so different harmonics may be generated too. 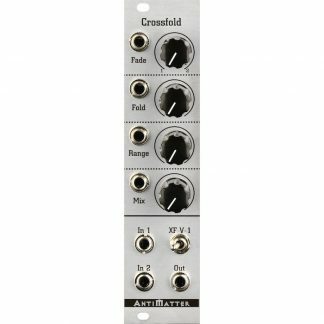 The offset control allows a bias to be added to the incoming waveform, either to bias it correctly around zero or offset it for more distortion and harmonics. The second part of the V-Shape module is a distortion unit, with selectable Soft or Hard Clipping, and the clipping amount can be varied either by a front panel control or an external control voltage with the “Distort” control. 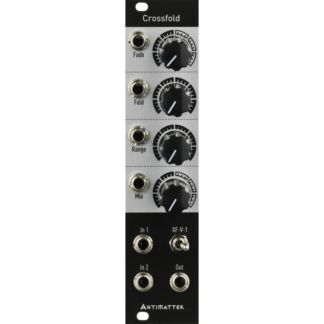 The distortion offset control adds or subtracts a bias voltage to the CV signal, to give an extended range of control. 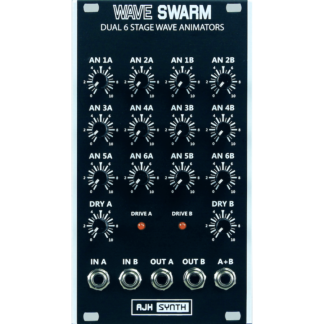 There is also a single stage, switchable wavefolder, which can be used with either soft or hard clipped waveforms.